I love freekeh, it’s a really tasty alternative to rice or cous cous and enhances the middle eastern vibe in any dish. It is made from green wheat and has amazing fiberous properties. I’ve used a lovely combination of warming spices, lemon and garlic to make the marinade for the carrots, the lemon especially brings out the sweetness in these yummy root veg. 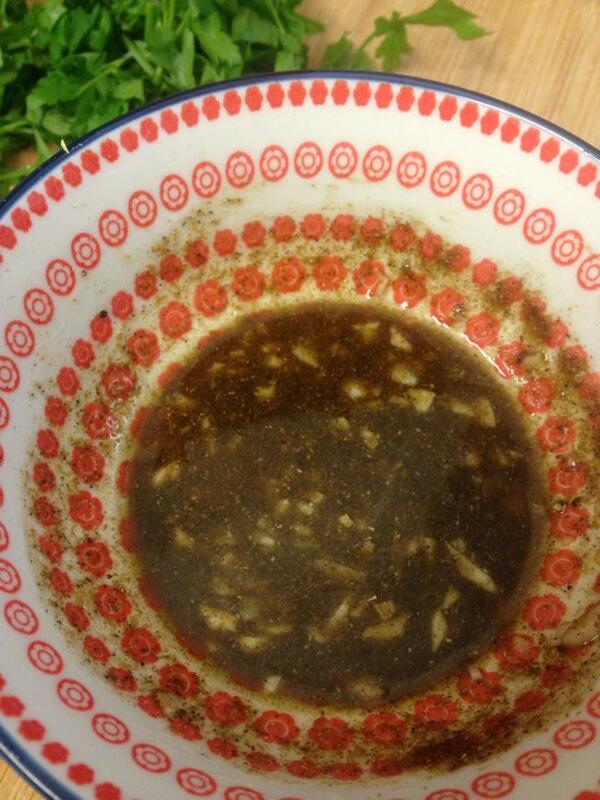 Perfect with salad leaves or with falafels and pitta. Pre heat the oven to 180 degrees. Chop the bottom and top off of your carrots and slice, unpeeled, once in half and then in half again twice lengthways. Put them in a small saucepan and just cover with water, put on a high heat until the water boils then reduce the heat and boil for 5 minutes. Now it’s time to make the marinade for the carrots. Put 1 tablespoon of olive oil in a small bowl with the juice of half a lemon, then the garlic, finely chopped followed by the spices, salt and pepper. Whisk with a fork and set aside. Now put the freekeh on to boil according to packet instructions. I put 500ml of water in with 100g of freekeh, 1 tablespoon of olive oil and some salt. Bring to the boil then reduce the heat and cook for a further 15 minutes. 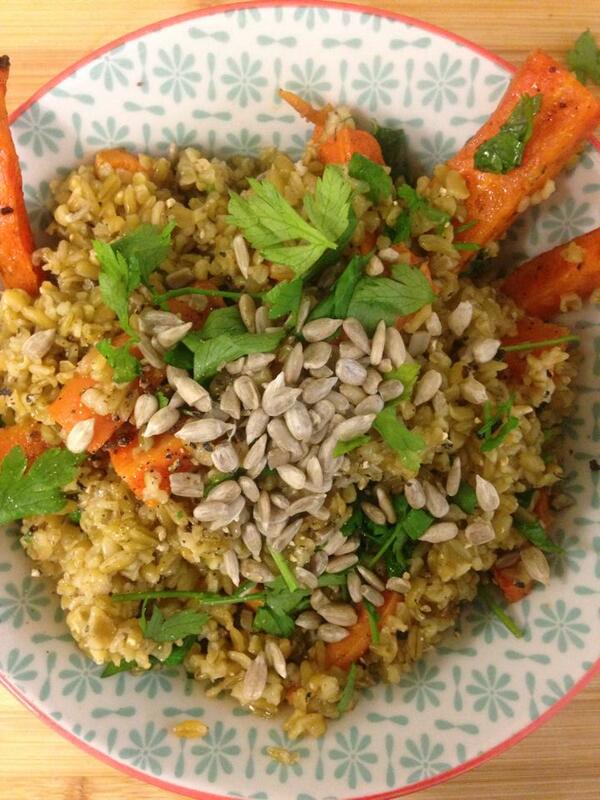 While the freekeh is cooking, put the carrots in the oven with the marinade rubbed into the flesh (don’t be afraid to use your hands!). Bake for 20 minutes or until the carrots are soft but still have a little bite. Once the freekeh has been cooking for 15 minutes, strain to get rid of the excess water and place in a bowl. 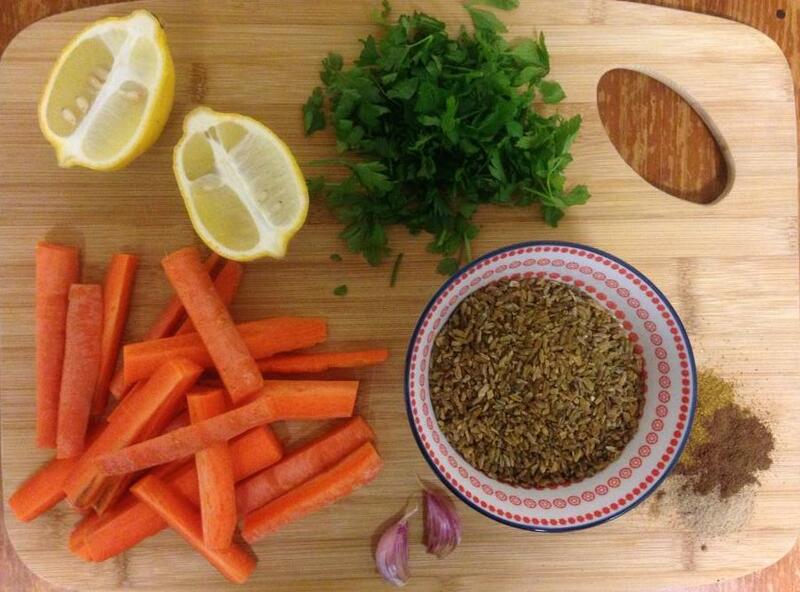 Squeeze over the juice of the remaining half of the lemon and finely chop the parsley, adding it to the freekeh. 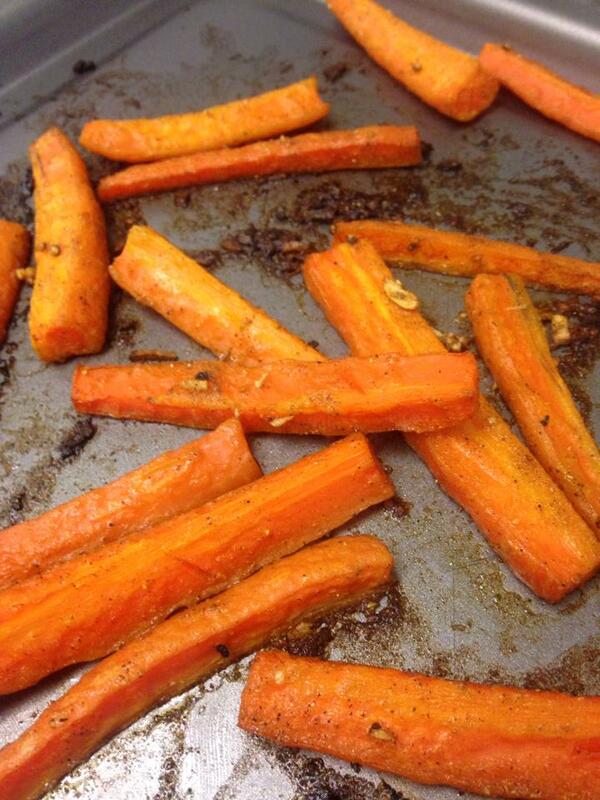 Once the carrots are cooked add those to the mix with some salt and pepper. I’ve served my salad with a few sunflower seeds on top, you can omit these if you like but I think they add a nice crunch. You could have this with some mixed salad leaves too or spinach to bulk it out a little! This is also great cold so is fab for taking to uni. Freekeh is easy to find in big supermarkets, it’s available in Tesco and Waitrose and smaller health or whole food stores! If you try this recipe or any others I would love to see the results, so tag me in a photo @beankitchenblog on twitter and instagram!